Just to be clear here, that is a north and a south pole, but from two different planets, right? Oops - I got carried away and sloppy. I've amended the text. Thanks, Pearse. 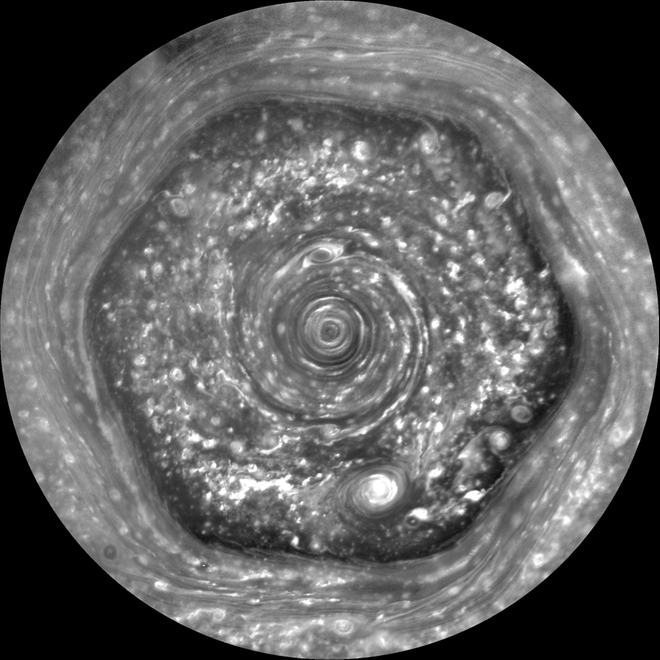 But the hexagon is on Saturn's North Pole, not Jupiter's. Actually I knew that, and was reminded of it after your first comment, but then I proceeded to have a second consecutive "senior moment." Fixed. Again. Hopefully for the last time. The only way this blog maintains its quality is that I have several thousand volunteer proofreaders. 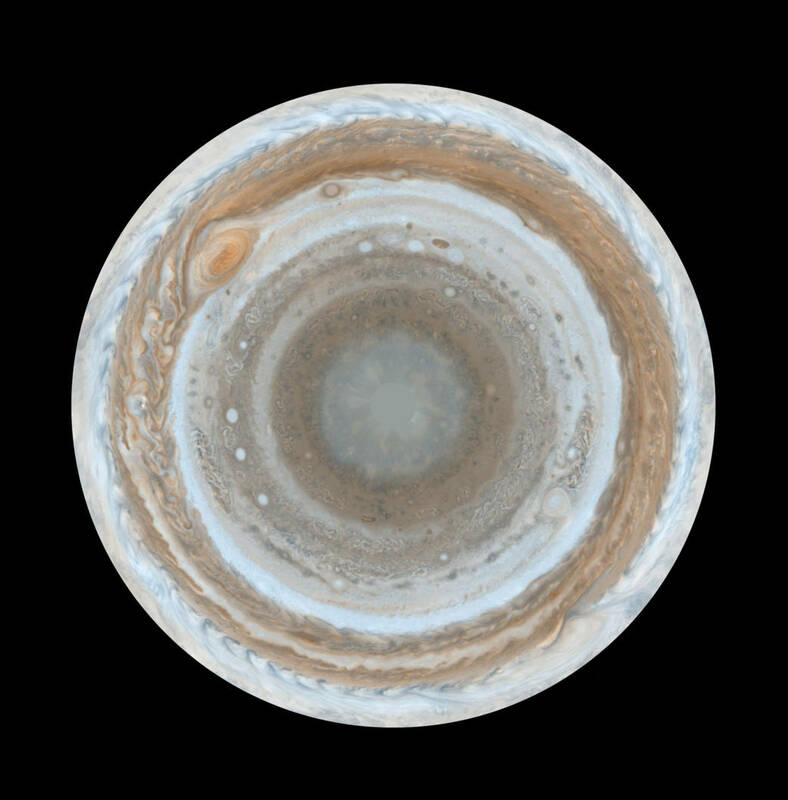 The first image is really that of a jawbreaker cut in half, right? it is an agate cut in half (i think).